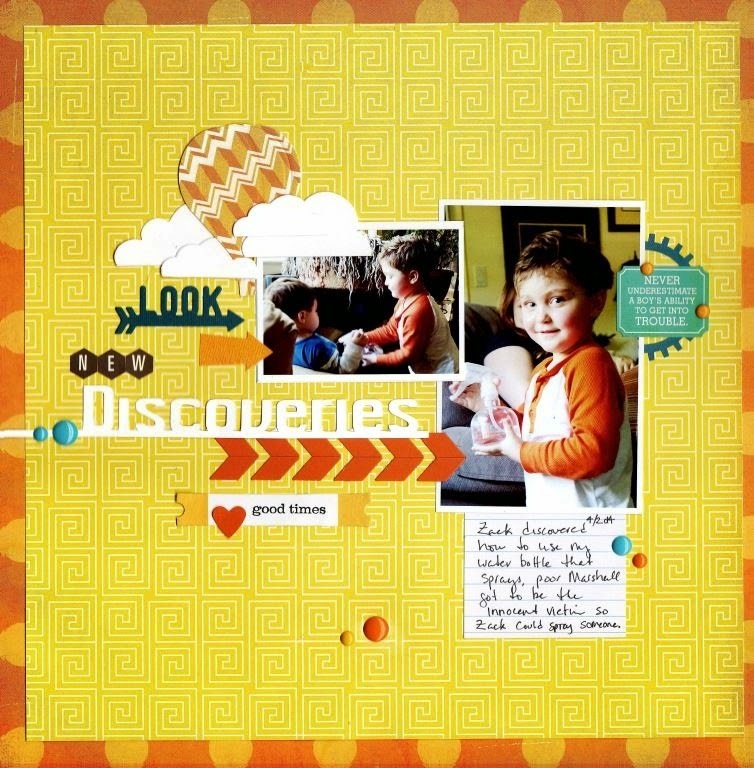 New discoveries is a beautiful layout capturing the innocent fun of a child. Love Zach's expression! This layout was created by Leslie Webster, Scrapyland Design Team Member.